Ya son multitud, empezamos con las BB, luego las CC y ahora también tenemos (no todavía en Argentina) las DD … OMG. Aquí una breve explicación de cada una. Originarias de Alemania, se crearon para utilizar luego de procedimientos quirúrgicos, fueron furor en Asia, y ahora todas las marcas ofrecen la suya. 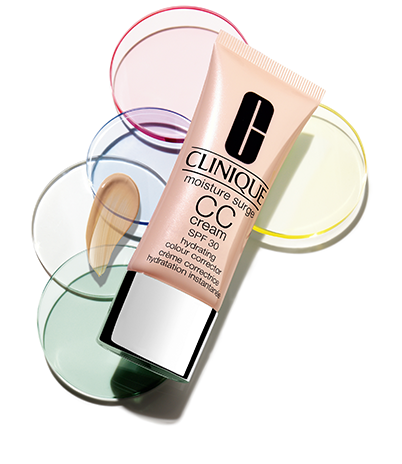 La idea de las BB creams es la de ser “todo en uno”, hidratar, dar color, aportar antioxidantes y proteger con SPF. No obstante no todas las que encontramos en el mercado cumplen con esa premisa, por lo que es importante estar atenta a los ingredientes. 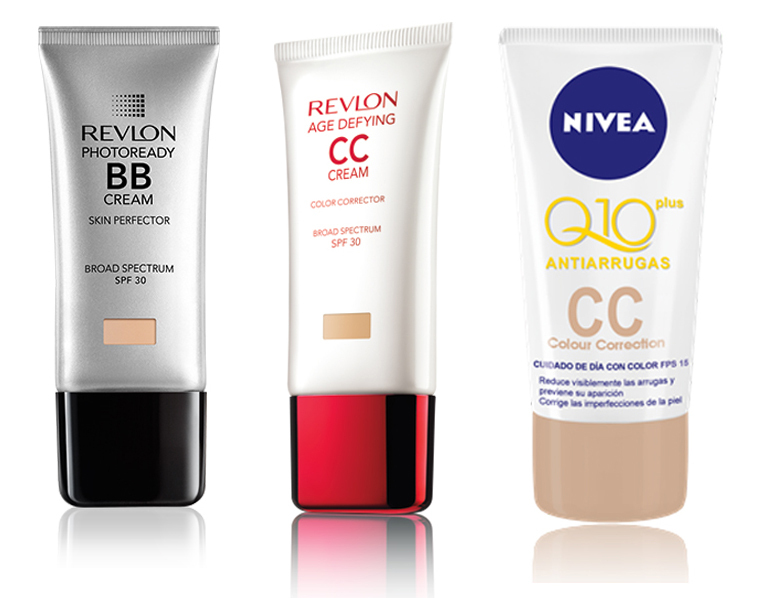 Revlon Photoready BB Cream Skin Perfector SPF30 y Estée Lauder DayWear Anti-Oxidant Beauty Benefit BB Creme SPF35 son mis dos favoritas. Estas cremas ofrecen mas cobertura y corrección de manchas e imperfecciones de la piel, serian casi como una base liviana de maquillaje, pero con antioxidantes y SPF. Nuevamente, no todas las formulas son dignas de ser probadas, estén atentas a los ingredientes. Personalmente no he probado ninguna, pero estoy tentada con Revlon Age Defying CC Cream Color Corrector Broad Spectrum SPF30, otra opción es la de Clinique Moisture Surge CC Cream Hydrating Colour Corrector Broad Spectrum SPF30 o la nueva Crema de Dia Q10 plus antiarrugas CC Cream de Nivea. Supuestamente acá tendríamos algo así como un “super producto”, una combinación de las BB y las CC en cuanto a color, antioxidantes y SPF, no obstante el fuerte de este producto son los beneficios anti-aging que tiene. No están muy difundidas y por lo que pude ver solo hay dos marcas en USA que las venden, Julep y Dermadoctor. … No quiero decir nada, pero Estée Lauder lanzó la EE Cream, Enlighten Even Effect Skintone Correcror SPF30 … hasta la Z no paramos! 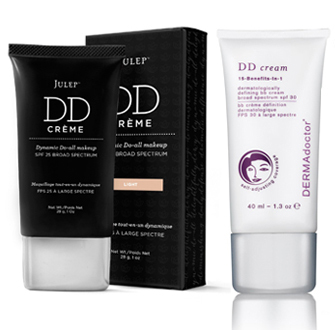 They are everywhere, first the BB creams, then CC and now we also have DD … OMG. Here’s a brief explanation of each. Originating in Germany, they were meant to be used after surgical procedures, they rocked in Asia, and now all cosmetic brands offers one. The idea of BBs is to be a “all in one” product that moisturize, even skin tone, provide antioxidants and protect from the sun. However not all the BBs are great, so it’s very important to check the ingredients before buying. Revlon Photoready BB Cream Skin Perfector SPF30 and Estée Lauder DayWear Anti-Oxidant Beauty Benefit BB Creme SPF35 are my favourites. This creams provide more coverage than BBs to correct dark spots and uneven skin tone, almost like a light foundation but with the addition of the antioxidants and the SPF. Again, be aware of the ingredients. I haven’t tried them yet, but I’m tempted with the Revlon Age Defying CC Cream Color Corrector Broad Spectrum SPF30. Another option is Clinique Moisture Surge CC Cream Hydrating Colour Corrector Broad Spectrum SPF30 or the new Q10 plus CC Cream SPF15 from Nivea. This would come to be like a “super product”, a combination of both BB creams and CC creams regarding hydration, color, antioxidants and SPF, but the main point of these creams are the anti-aging effect. There aren’t much of these on the market yet, as far as I know, there are two brands in the US that sell them, Julep and Dermadoctor. … I don’t want to say anything, but Estée Lauder recently launched the EE Cream, Enlighten Even Effect Skintone Correcror SPF30 … we won’t stop till Z! Es asi, por eso insisto en chequear los ingredientes! Algunas son muy buenas, y otras mejor ni probarlas! Besos!! !